According to the State Medical Board of Ohio, acupuncture is defined as a form of healthcare performed by the insertion and removal of specialized needles–with or without the application of moxabustion or electrical stimulation–to specific areas of the body. Originating in China 3,000 years ago, acupuncture is therefore one of the oldest medical procedures in the world. An effective form of healthcare‚ acupuncture evolved into a holistic medical system. Practitioners of acupuncture have used this noninvasive medical system to help millions of people become well and stay well. One of the major benefits of acupuncture is that it promotes natural healing. Specifically, acupuncture enhances recuperative power and immunity; supports physical and emotional health; and improves overall function and well-being. As a safe and painless method—acupuncture is effective in treating a variety of medical problems. WHAT IS QI AND HOW DOES IT RELATE TO THE BODY? In Traditional Chinese Medicine (TCM), the theory of Qi (pronounced “chee”) explains how vital life energy flows throughout the body on specific pathways, called Meridians. Since each Meridian is connected to specific organs and glands, Qi is the force that enables all body functions, movement, and life itself. Because Qi protects the body from illness, pain, and disease, when Qi is not flowing properly, parts of the body will not get the vital energy necessary for optimal health and function. What causes the improper flow of Qi? Poor diet, lack of exercise, mental or physical overexertion, physical and emotional trauma, chronic stress, or extreme environmental conditions or changes are among the factors that can effect the flow and balance of Qi. Normally, the body can easily compensate and return to balance and health. However, illness, pain, or disease can occur when the imbalance is prolonged and excessive, or when the body is already weakened. Acupuncture points are specific points, usually along the Meridians where Qi can be accessed. Each point is used differently, depending on how Qi is disrupted. Acupuncture needles are inserted into points according to the patient’s condition. By manipulating the needles, Qi can be moved and the body rebalanced. HOW CAN I PREPARE FOR MY ACUPUNCTURE TREATMENT? Come with questions. Wear loose, comfortable clothing for easy access to acupuncture points. Try to refrain from eating very large meals, being overly hungry, or engaging in very strenuous workouts just before or after treatments. Do not use drugs or alcohol for up to 6 hours before or after the treatment. Between treatments, take note of changes that occur, such as the alleviation of pain; relocation of pain to other areas; or changes in the nature or frequency of the problem. Because each person is unique, the treatment plan is individualized as well. A course of treatment usually takes between five to ten sessions. To achieve the optimal therapeutic results, acute cases should be treated more frequently, like 2 – 3 times per week. As treatment continues, the interval between treatments can be longer. However, chronic cases usually need 1 – 2 visits per week. If results are slow, clients should still complete the entire course of treatments, since most patients require more time to restore energy balance. For a health maintenance program, either preventive or promotive, periodic treatment is recommended. Such a program usually helps internal organs to function in a continuously balanced condition and improves the body’s physiological state. The rejuvenation process is what Chinese medicine has promoted in healthcare for thousands of years. During the first visit to your acupuncturist, a thorough health history is taken. Patients are asked to fill out an initial intake form and to answer questions about symptoms, health, and lifestyle. By using this information, taking a patient’s pulse, and examining the tongue when needed—the acupuncturist will formulate an accurate, comprehensive Chinese medical diagnosis and treatment plan. 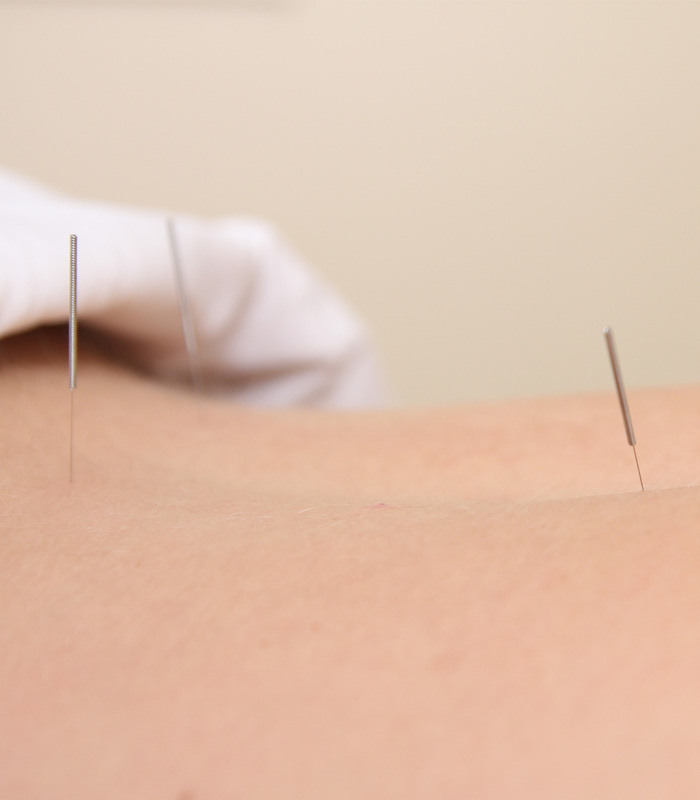 The practitioner then uses very thin, disposable needles and inserts them into acupuncture points on various areas of the body, depending on the patient’s specific condition. The needles stimulate the body’s Qi, creating balance and healing throughout the body. Why does the Acupuncturist feel my pulse and look at my tongue? Disturbances of Qi and imbalances in the body can be felt in the pulse and seen in the tongue, thereby giving acupuncturists two unique diagnostic tools. Checking both is critical to diagnosing the patient’s condition and uncovering the root of the problem. Pulses are felt with the index, middle, and ring fingers on the radial arteries of both the patient’s hands. Each position corresponds to an organ system and meridian. The acupuncturist will gauge the depth, speed, strength of any of the 27 specific qualities that the pulse reveals. Another valuable diagnostic tool is the tongue, which is a map that mirrors the body. Since each area of the tongue corresponds to a specific organ system, the shape, color, and coating of the tongue reveals different aspects of the patient’s condition. Every patient has a different reaction to the needles. Sometimes a little pain accompanies insertion of the needles, especially if the individual is unusually emotional or sensitive that day. Normally, needles are painless. After inserting the needle, a sensation like a slight numbness, tingling, dull ache, or heaviness in the area may be experienced. This “Qi sensation” is not only normal but a good indication that the treatment is working. After treatment, patients report feeling energized or deeply relaxed. The depth of needle insertion depends on the area as well as the size, age, and condition of the patient. Typically, needles are inserted at depths ranging from 1/8 – ½ inches. Are there other kinds of therapies that an Acupuncturist might use? Cupping, Gua Sha, Moxabustion, and Tui Na are other modalities commonly used during an acupuncture treatment. Cupping, which stimulates the flow of Qi and blood in the superficial layers of muscle, is used for such conditions as sore muscles, muscle tension, neck pain, the common cold, and many internal disorders. Small glass or plastic cups are applied to specific areas of the body, and then a vacuum is created using heat or suction. A slight redness on the skin may appear but will dissipate in a few days. Addressing many of the same conditions as cupping—Gua Sha—uses a smooth tool to rub over the skin, often on the back, creating the reddish purple marks known as petechia.¬† These marks will dissipate in a few days. Moxabustion uses an herb called mugwort, which is burned on the handle of the needle above the skin, or over salt or a slice of ginger.¬† This warming effect speeds up the treatment of certain conditions. Tui Na is Chinese, meaning “push grasp.”¬† Comparable to massage therapy, this treatment incorporates acupuncture points, meridians, and Chinese theory. Acupressure though similar to acupuncture applies pressure with fingers or blunt objects (not needles) to acupuncture points. Increased energy and vitality; skin rejuvenation; enhanced athletic and physical performance; regulated blood pressure and blood chemistry; stabilized immune system; controlling weight, smoking, and other addictions. The Wellness Center offers many alternative ways of healing with licensed and certified practitioners. The Center’s goal is to raise the bar of healthcare services from therapy to education, from physical treatments to individual coaching, from bodywork alone to a holistic, collaborative approach among healthcare providers.